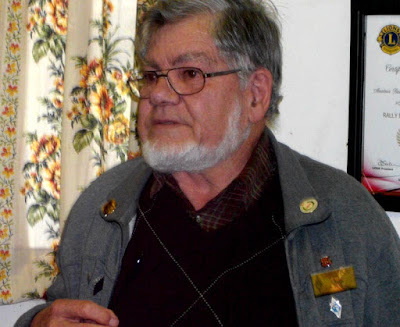 It is with deep sadness we must announce that the key of Dennis Maastricht / ZS1DTM became silent on Sunday 30 July at 01h00, in Somerset West, having almost reached the age of eighty-nine years. While no longer a member of CTARC, Dennis was well known to many of us in the radio amateur community, and will be sorely missed. 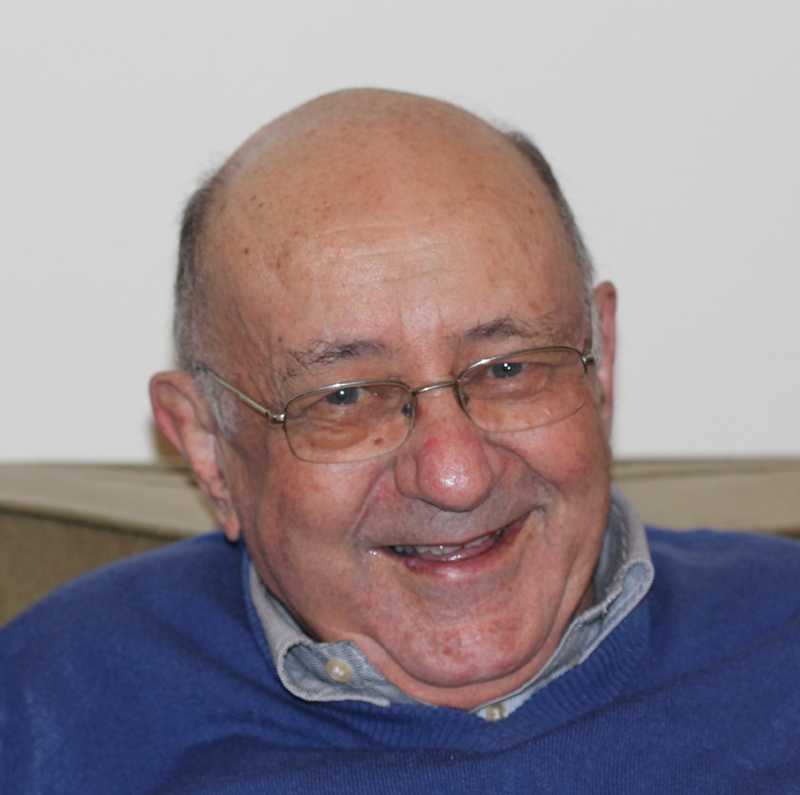 He was a highly intelligent, insightful and generous man. Our condolences go to his sister Mavis and the rest of his family. Please note that the SARL HQ and CTARC Bulletins will be transmitted at 08h30 B: on the 145.650 MHz on Sunday morning of 30 July 2017. 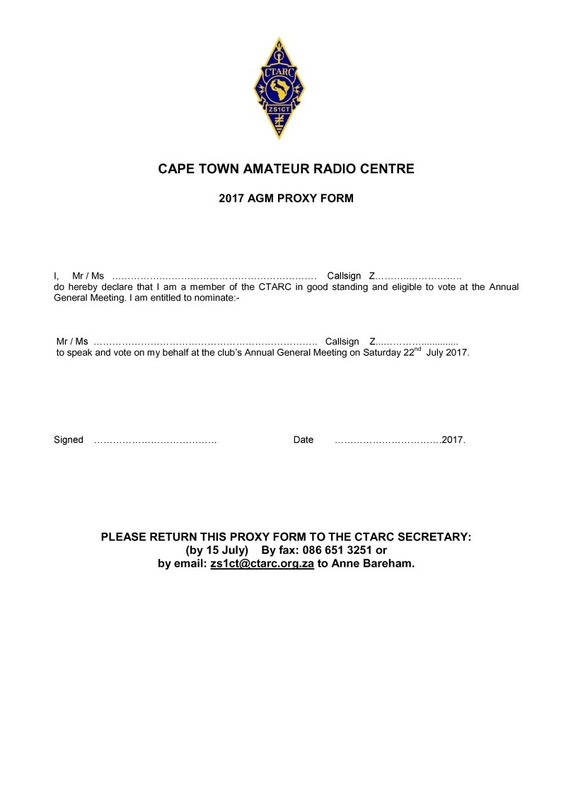 Following a decision made at the CTARC Committee Members meeting of 17 July 2017, a very necessary Antenna Work Party will be held at the CTARC clubhouse on Saturday, 29 July 2017, starting at 09h00 sharp. We request all club members who are free that day to come and assist. We will be assembling and raising a new beam antenna for the club's station. 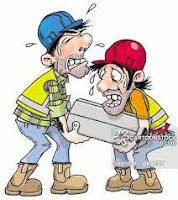 For those who may not have attended such a Work Party before, it's an ideal opportunity to learn all about antenna hardware, masts, wiring practise, and so on. Casual clothing is recommended. 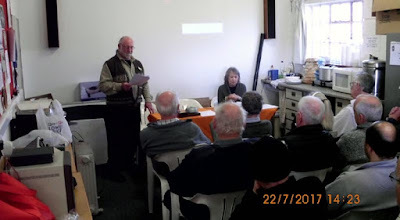 Here are the photos from the Cape Town Amateur Radio Centre's AGM of Saturday 22 July 2017. For the written report, click [here]. 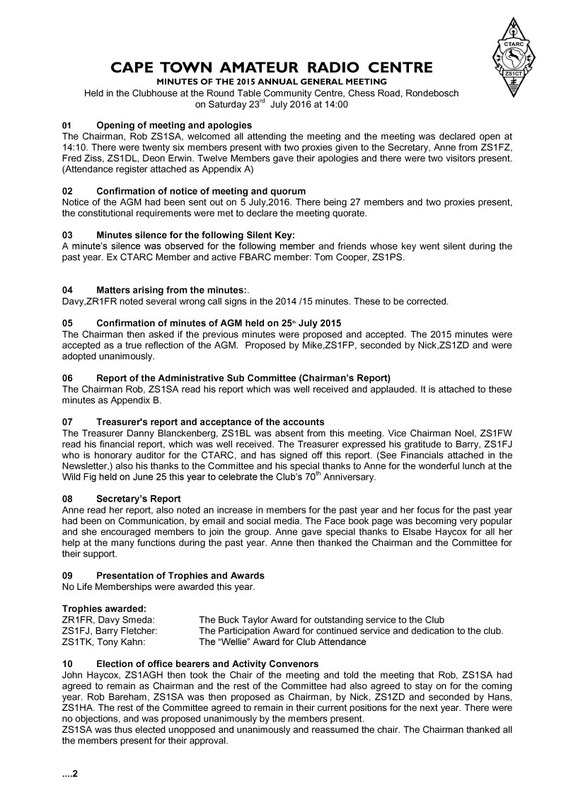 Rob / ZS1SA reads the Chairmans Report. while the election of Chairman and Office Bearers takes place. 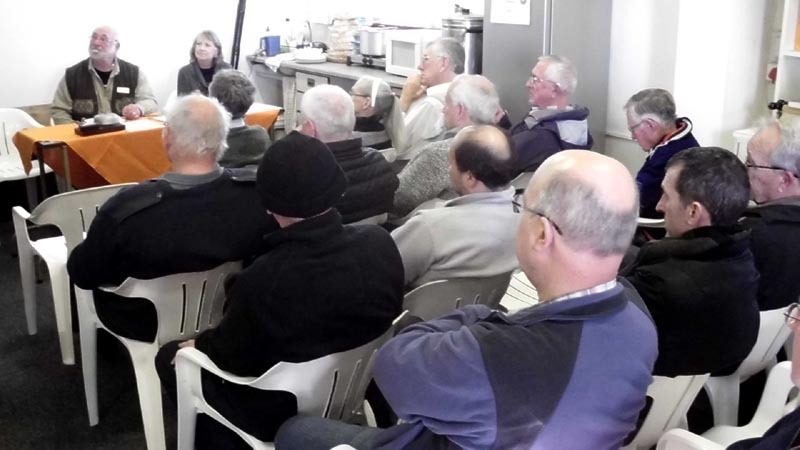 Yesterday at 14h00 we held the CTARC’s Annual General Meeting of 2017 at the clubhouse. The meeting was well attended. We counted over 30 heads in attendance. 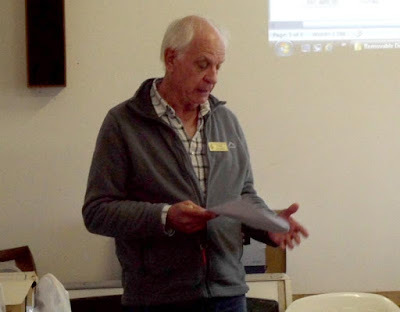 The meeting was opened by the CTARC Chairman, Rob / ZS1SA and apologies announced. Then formal confirmation of notice of the meeting was obtained and a quorum confirmed. A minute's silence was held for those Silent Keys who passed away this year. Rob then delivered the Chairman’s Report, covering the events of the last year and some future plans for the clubhouse and infrastructure. Anne then delivered her short but sweet Secretary’s Report. This was followed by the Treasurer's Report,comprehensively covered by Danny / ZS1BL and illustrated with PowerPoint slides of the figures. Approval of the accounts was obtained. A necessary (but moderate) increase in membership fees is taking place. This will be detailed in Ragchew and the Blogspot. 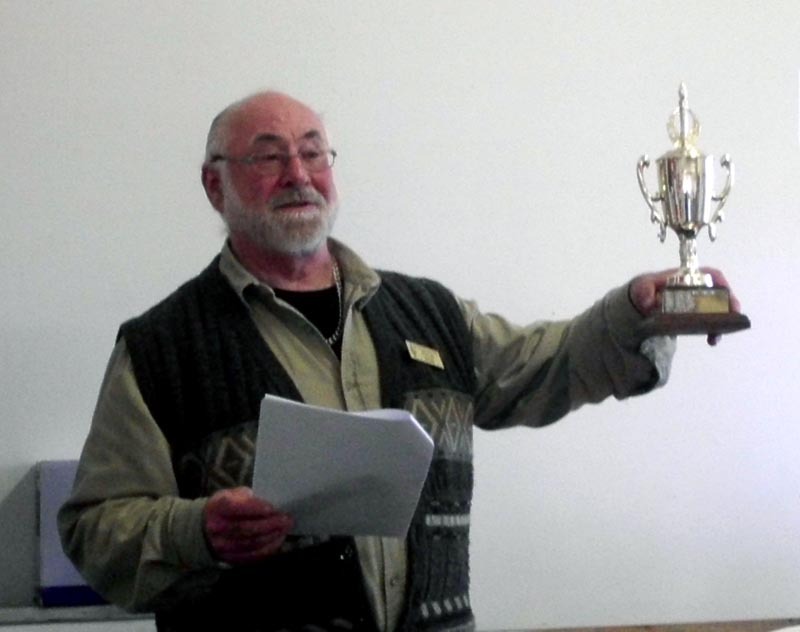 Then the pleasant task of presentation of Trophies and Awards was done by our Chairman, Rob. The Sports Award was awarded by Michael /ZS1MJT, backed up by Davey / ZR1FR, to Hendrick / ZS1EEE, for the quality and depth of his involvement in radio comms for Sports Rallies this last year. We then proceeded with the formal election of office bearers and activity conveners. Rob stood down as John / ZS1AGH took over as temporary caretaker Chairman to call for nominations. 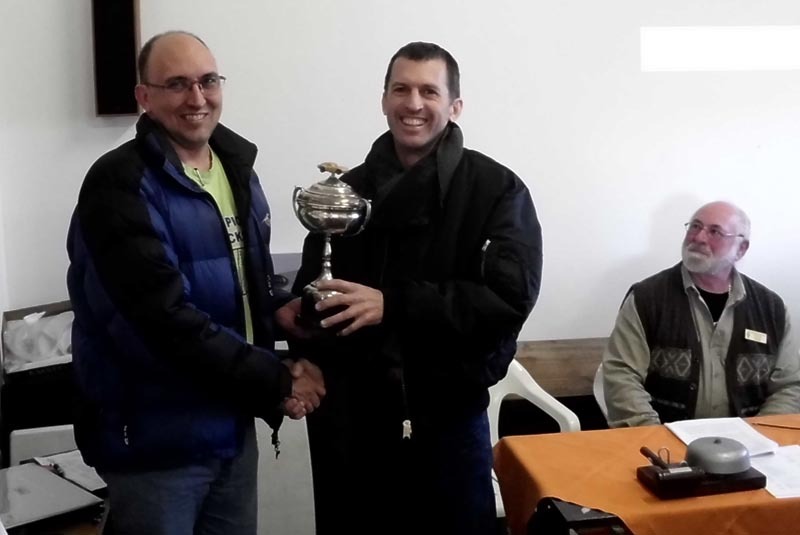 Rob / ZS1SA was unanimously nominated and elected as the CTARC Chairman for the period 2017 / 2018. This was followed by the election of a new Working Committee and Bank Signatory Mandates. Nick / ZS1ZD is Website / Blogspot Manager & Club Photographer. and Hylton / ZR1HPC (former QSL Manager). 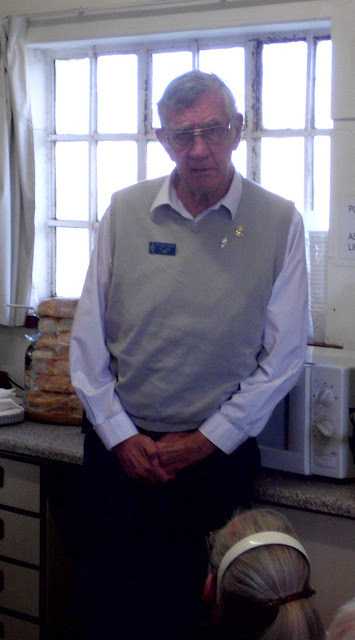 As Barry / ZS1FJ has now joined the CTARC Committee, we require the services of a new honorary auditor. This non-onerous responsibility involves casting a proprietorial eye over the accounting figures of the CTARC's finances. 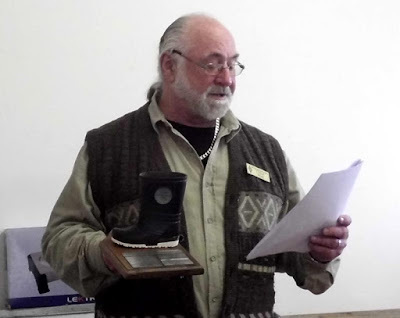 With the office bearers duly elected, other business was attended to briefly and the Rob offered a votes of thanks to the committee members, new & outgoing. With that, the meeting was formally ended and refreshments were then served. CTARC Members and visitors had the chance to chat over tubs of delicious soup and the occasional glass of sherry. 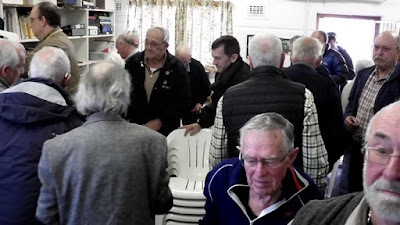 Lastly, but certainly not leastly, thanks to all the CTARC members, for their attendance, support and contributions that make the CTARC the convivial fellowship that it is. Things wound up at about 16h30. 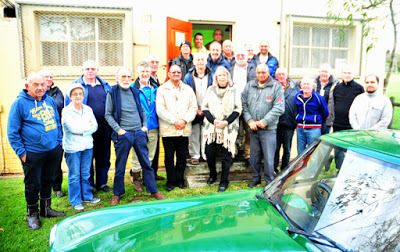 The following meeting at the CTARC will be the Antenna Work Party on Saturday, 29 July. Photos of the event are [here]. 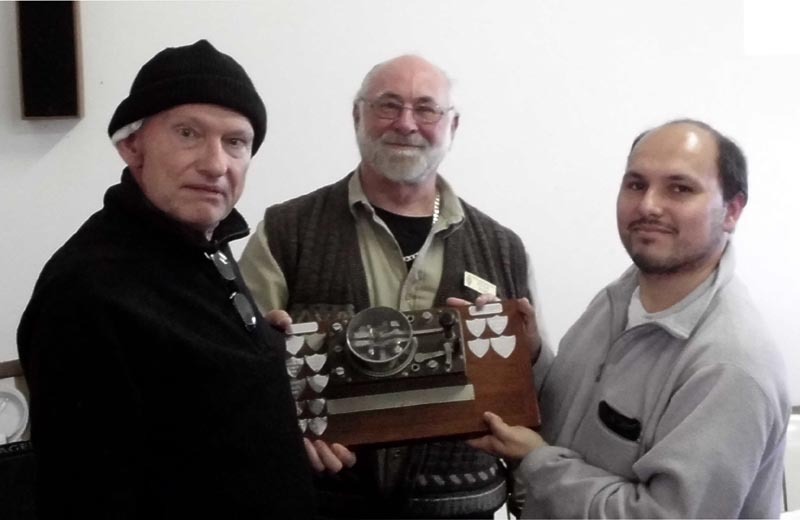 Owing to the temporarily limited local coverage of the Tygerberg Repeater antenna on 145.750 MHz, the CTARC Sunday morning bulletins (the ZS6SRL SARL HQ Bulletin and the ZS1CT Club Bulletin) that start at 08h30 S.A.S.T. will transmit instead via the 145.600 MHz repeater on Hanskop at Sir Lowry's Pass. This frequency change is effective from Sunday 23 July 2017. 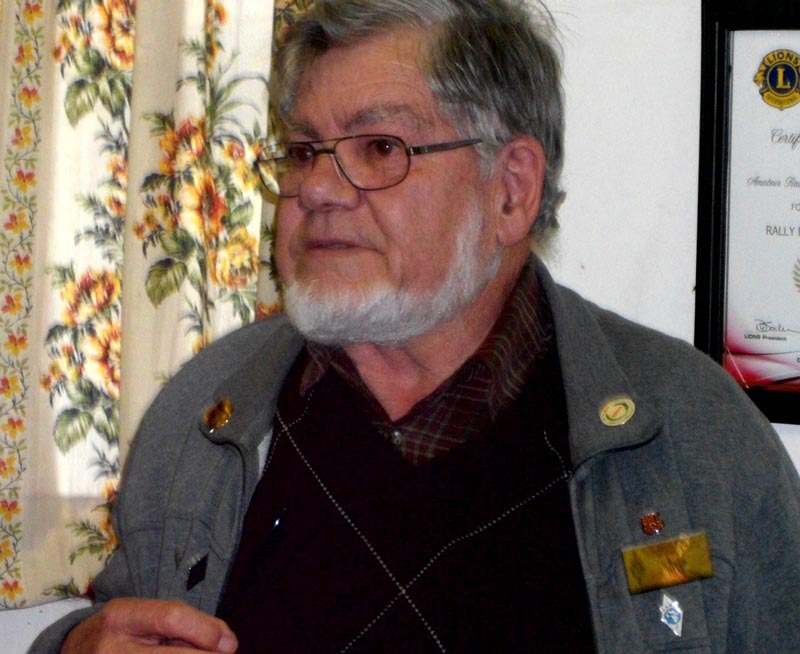 That repeater may well be linked to other Cape Peninsula-area repeaters if possible. The bulletin will also be transmitted via Echolink and, if relay stations are available, on 7086 kHz and 3700 kHz, both Lower Sideband. 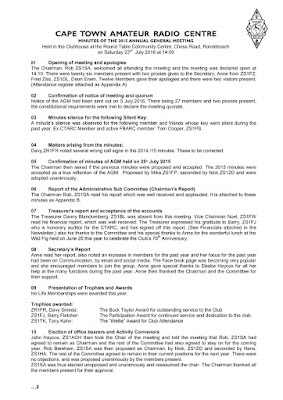 Extracted below is the Proxy Form for absentee members wishing to nominate a visiting member to vote for them at the CTARC AGM on 22 July 2017. Download the PDF file [here]. 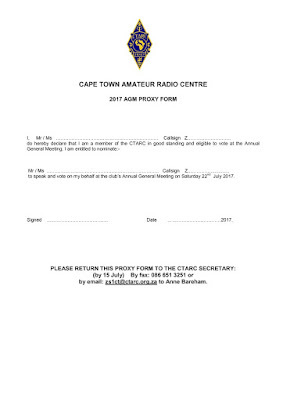 Extracted below are the Minutes of the 2016 July AGM at the Cape Town Amateur Radio Centre. 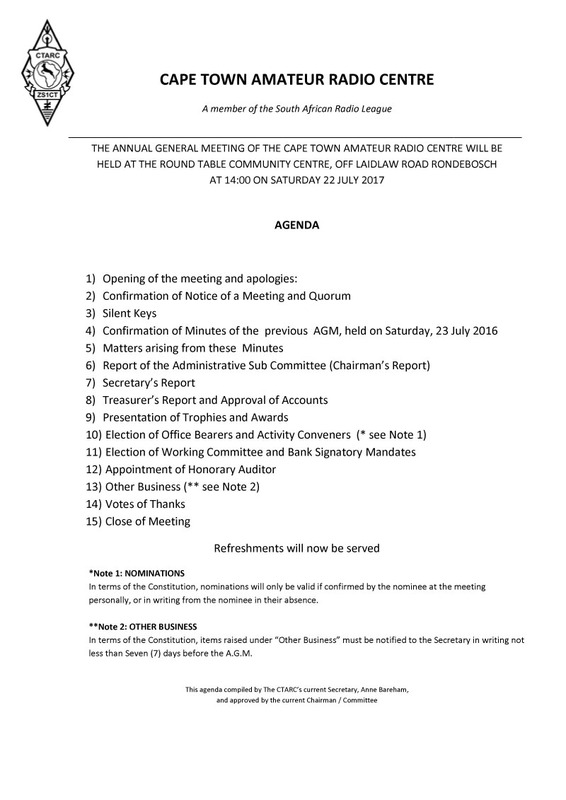 Extracted below is the agenda of the CTARC's forthcoming AGM on 22 July at 14h00 at the CTARC clubhouse. The Cape Town Amateur Radio Centre's July meeting will be our Annual General Meeting. It will take place, as always, at the CTARC clubhouse at 14h00 on Saturday 22 July 2017. 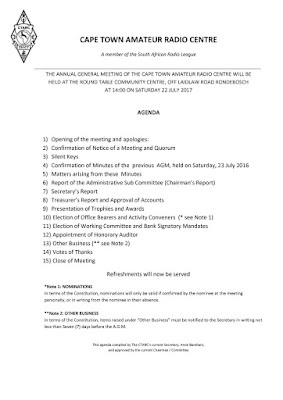 All members are encouraged to attend this important club meeting for the election of CTARC office bearers and committee, reading of club financial statements, reception of club awards and a good get-together in general. Soup and sherry (served in separate vessels!) will be available for the delectation of the members. Further details will be announced here, on the bulletins and in Ragchew. 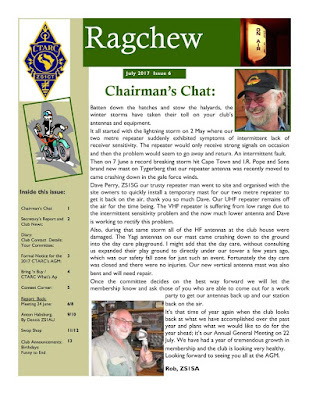 The July 2017 edition of the Cape Town Amateur Radio Centre's bi-monthly newsletter "Ragchew" is now published. Grateful thanks once again to Anne for another fine edition!